(CNS): Although a statement was issued by the deputy governor in the Legislative Assembly on Wednesday in order to clarify comments made about two senior civil servants who are on leave, it isstill not clear what is happening to Deborah Drummond (left) and Diane Montoya. The women held senior positions in government until the 2009 elections when they were removed from their posts, along with Angela Martins, who was then the permanent secretary in the education ministry. While Martins has been paid off and taken early retirement, Montoya, who was the chief officer in the health ministry, and Drummond, formerly the deputy financial secretary, remain on leave on full pay without jobs. The two senior civil servants are drawing six figure salaries in the range of $120-130,000 per year plus benefits but neither of their skill sets are being utilized by government. Questions put to Deputy Governor Donovan Ebanks during Finance Committee in June revealed very little about what had happened to the women other than the fact that government is attempting to reach an amicably arrangement with them. It was also implied that the women were placed on leave, one on required leave and one on less formal leave, by the former chief secretary, George McCarthy, but it was not clear which woman was in what position and why. On Wednesday Ebanks said he wished to clarify coments he had made in Finaance Committee and said that Deborah Drummond was not placed on required leave by McCarthy, but he did not make clear if this meant it was Drummond and not Montoya that was on the less formal leave or whether it was someone else who had placed Drummond on required leave. During Finance Committee Ebanks had indicated that the women were removed from their previous posts because the chief secretary had information that their presence within the ministries concerned was not desired, but he did not necessarily know what that information was. However, none of the three women were accused of wrongdoing, he had confirmed. The deputy governor had told Finance Committee that he was committed to finding a solution that was fair and reasonable to the officers concerned as well as the service. “It is a very sensitive subject,” Ebanks added. (CNS): Sandra and Wilmot Anthony made a heart-felt plea today to the Caymanian people to help find their daughter, who has been missing for more than five days. Kerran Baker’s parents begged people to come forward with information and assist in trying to find out what has happened to their 25-year-old daughter, who was last seen on Saturday evening at Foster’s Supermarket near the airport. Wilmot Anthony (left) said many people in Cayman know him as he lived here for more than a decade and if they are scared to call the police they could contact him privately with whatever they know. The Anthonys arrived in the Cayman Islands yesterday afternoon and intend to stay until they learn what has happened to their daughter. Sandra Anthony, Kerran’s mother, said she spoke with her daughter at around 5pm on Saturday and she said she was happy and normal. Her father asked people to put themselves in the position of himself and Kerran’s mother. “We need to find her. She has been missing for five days. Almost everyone on the island knows me. I was here for eleven years. If you are scared to go to the police call me privately on 321 4271,” he said. “I am hoping for the best but bracing for the worst but please come to me,” he said to the people he hoped may know something about what has happened to Kerran. The police said that they had confirmed that the keys found in bushes around 50 yards from where her car was found in Pedro St James on Monday were the keys for the car. DS Marlon Bodden said, however, that the DNA results of the traces of blood found nearby had not yet been received by the RCIPS, though they had asked the forensic evidence to be prioritised. The police also stated that the phone companies had not yet traced the phone or supplied any further information. The senior officer, who was joined by Chief Superintendent John Jones, also revealed that police divers had been searching the waters around Pedro again.He noted the dangerous current and depth of the water but said there was a need to search and follow the drift pattern in case things were missed on previous searches. The police reiterated the mystery surrounding Kerran’s disappearance and said that there was no more new information coming into the police that could help them put together what happened to her when she left Fosters and headed home. They said the public was being really helpful giving in information regarding her movements before 7pm on Saturday but as yet no one had been able to offer anything concrete after that point. CS Jones stated that he believed there were some people who knew more than they were letting on and he hoped someone would come forward with the crucial information that might help police find her. The officers said again that they have been unable to confirm that Kerran was in any kind of dispute with anyone in particular or that she had told either her friends or family about. They stated that so far they had not arrested anyone during the course of the investigation and there was no one thread of the investigation that was standing out to officers. The officers said the RCIPS was holding nothing back from the public about what they knew and encouraged the community to come talk with them about anything that may assist the investigation, no matter how trivial people may think it is. Anyone who thinks they may be able to help in the investigation to find Kerran Baker is asked to call the police on 949 7777 or Wilmot Anthony on 321 4271. (CNS): Legislation to amend the Public Management Finance Law, which government said was too cumbersome and complex to follow, was passed through the Legislative Assembly on Wednesday with support from both sides of the House. 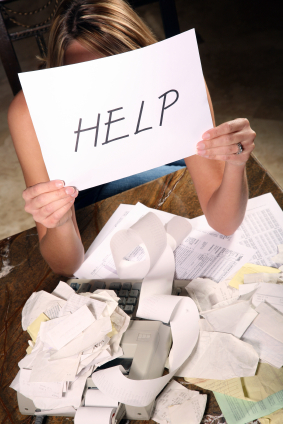 The amendment to the law which governs the management of public accounting has reduced the amount of reporting government entities have to do and has essentially removed the legal requirement to have audited accounts before 2008 in order to help all public authorities and ministries catch up. It will also allow government to produce an up to date set of consolidated audited accounts for the first time in over seven years. Withdrawing the previous bill because of the language used in that first draft, which included reference to non-compliance with “generally accepted accounting practice”, the premier explained the changes government now intended to make to assist with addressing the disarray in government’s management of public accounts. Bush said that government had undertaken the mammoth task of identifying what the problems were in government agencies with their failure to produce accounts on time and address them by fixing the systems and the law itself. Having hired a consultant from the UK and taken advice from the auditor general, thenew legislation would address some of the complex and cumbersome problems that have prevented government from producing accounts within the requirements of the existing PMFL, he said. Keith Luck, the consultant, issued his final report in April 2011 and one of the areas that he identified was the reporting requirements, and as a result government has now changed the law to suspend quarterly reporting. It has also dropped the requirement for the audit of output reports and reduced the volume of reporting by statutory authorities and government companies. The premier revealed that Auditor General Alastair Swarbrick had said that the output statements included in government accounts were of limited value and didn’t provide effective accountability of the performance of government and the requirement should be removed. It was also the AG who recommended that government give up on trying to produce consolidated financial statements for the years up to 2007/8 and probably 2008/9 because they are too late to be of value, so the law has been changed to remove the need to produce those out of date accounts. Bush said that, as recommended, government would concentrate on ensuring that statements for 2009/10 are as good as they can be. The premier said that the previous reference in the first proposed amendment was much misunderstood by the public. The premier said that the reason why so many qualified, adverse and disclaimer opinions had been issued was because of the failure to meet certain definitions of accounting practices, but this did not mean it was neglecting accepted standards. “To the general public, it would have appeared as though the government was suspending all accounting rules, procedures and conventions,” he said. “But this was not the case nor was it the intention of the government. The government since met with the auditor general and the legal drafting department to ensure that the government’s intention was accurately re-worded in this present version of the bill now before the House,” he added during his presentation on Wednesday. He said that everyone had now agreed that instead of amending the law to suspend compliance with 'generally accepted accounting principles’ (GAAP), a better alternative would be to disclose in the notes of the financial statements the particular sections of IPSAS where there will be non-compliance — and such departures would be applicable only to the earlier years of 2004/5 to 2007/8. See revised amendment to the PMFL here. (CNS): Full story – Despite significant opposition from residents, environmental concerns and wide public disagreement that included a petition with over 1,000 names, the Central Planning Authority has approved the controversial Emerald Sound development in South Sound. The project, which includes cutting canals from the ocean into the main land as well as moving the road, has caused anxiety in the community, not just about the potential detrimental impact on the local environment but that to approve such a development would set a worrying precedent for future canal developments. Burns Conolly, who represents the developers, said Thursday morning that he had been informed that the application made on Wednesday had been approved. Conolly told CNS that although the developer is still awaiting a coastal works license, he could technically begin the project on the land side but would not be able to link the canals to the ocean without approval for coastal works, which has to come from Cabinet. He also stated that he believes the developer has addressed all of the National Roads Authority’s concerns and those of the Department of the Environment and that this development will not have a negative impact on the Sound or pose any threats to the community in bad weather. Despite the opposition in the local community, Conolly said Emerald Sound would be a boost to the neighbourhood and create jobs. “The developer has done a tremendous amount of research, including computer simulations of storm surge to ensure that the objectors' concerns were understood and the myths surrounding this project were dispelled. 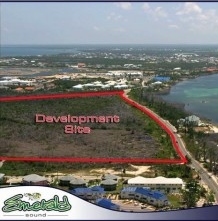 Emerald Sound will be a benefit to the Cayman Islands, uplifting property values in the area and providing a new standard of development in South Sound,” Conolly said. 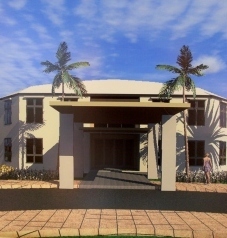 “We presented a detailed application that met all the existing plans and regulations in the Cayman Islands. The developer has even made available over seven acres of land to deal exclusively with the neighbours’ rainwater and run-off,” he noted, adding that he was not surprised that the CPA approved the application. Those who are opposed to the development said they were not entirely surprised the CPA approved the application either, as they said the authority tends to base its decisions on narrow criteria that does not consider the bigger picture, and in particular the coastal works area. However, Katrina Jurn, one of those leading the campaign against the project, said those who wereagainst the development were not giving up yet. “We were hoping that the CPA would make the right decision and this would not be such a long process but we must now turn our attention to the appeal and stopping the costal works approval,” she stated. Jurn said that the opposition campaign had more faith in the appeals process as it would be looking at a much wider remit and would consider more than the limited technical criteria which the CPA is bound to make its decision upon. She pointed out that although just about every single resident in the 1500 foot area had objected, those objections were completely ignored by the CPA, which made the decision based on whether or not the developer had met specific technical points. DoE concerns or those of residents were essentially ignored, Jurn said, which will not be the case when Cabinet considers the coastal works license. The issue the objectors have with this particular project is that the development cannot be considered as two separate elements as the CPA have essentially done. Jurn pointed out that, given that the proposed design includes canals that will link the land development to the Sound, granting planning permission without consideration of the impact on the marine environment as the CPA did is flawed. She said the battle would continue and the people involved in the campaign to stop Emerald Sound would be meeting at 5pm on Saturday to discuss the appeal against the CPA’s decision and how best to impress upon government their objections regarding the coastal works stage of the application. 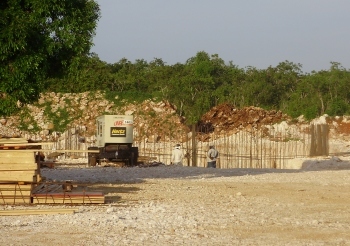 (CNS): The First Elected Member for Cayman Brac and Little Cayman believes that the money being spent on the emergency shelter on Cayman Brac’s Bluff would have been better invested in a newhigh school for the island. 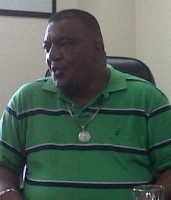 MLA Moses Kirkconnell told CNS that the site of 'Hurricane Hilton', as it has been dubbed, would have the ideal location for a new high school campus as it is located right next to the Bluff football field and that the current campus in Stake Bay could have been turned into a vocational school or a hotel training school, which could have attracted students from Grand Cayman. “I believe that money could have been spent more wisely,” said Kirkconnell. (CNS): The Cayman Heart Fund is looking for volunteers to commit to a 16 week-long weight loss challenge. The fourth annual War on Weight (WOW) competition is set to start on Monday, 22 August for people ready to lose the weight once and for all. The programme includes an hour of group exercise five times a week, bi-weekly visits with a team of medical professionals to ensure weight loss is safe and consistent, as well as a strict nutritional plan under the expert eye of a registered dietician. Each contestant will have access to more $2,000 of expert advice and training. To help motivate contestants, former WOW participants as well as the WOW committee will be on hand for added support. This year WOW will invite friends, family, and the local community to participate and support one another. Activities will include weekend morning walks, Saturday introductory activities, and a family fun day sponsored completely by supporting businesses and members of the community. Last year activities included salsa dancing at The Wharf, spinning at Revolutions, a grocery tour at Foster’s guided by WOW’s Dietician Chad Collins, as well as a kick-off evening at Full of Beans who served healthy tapas. In 2010 the finale breakfast was hosted at The Ritz-Carlton where Glenda Dilbert-Davis was titled 2010’s WOW winner with a total weight loss of 35.5 lbs. The guest of honour, NBC’s The Biggest Loser 2010 winner Patrick House and family who congratulated WOW contestants and spoke about his life-changing experience on the show. A select number of applicants will be asked to interview with the committee to ensure they are dedicated to losing weight and living a healthier lifestyle, before the final 20 participants are selected. The competition is primarily aimed at adults who have a Body Mass Index of 30 or more. All participants will be expected to become dedicated ambassadors of the Cayman Heart Fund’s mission to promote a healthy change in lifestyle. Contestants are measured by a formula approved by WOW’s expert advisors, as well as points gained by programme participation. Winners will go on to garner a prize package containing gifts to celebrate hard work and continue on a weight maintenance regime. Cayman Heart Fund Chairman David Dinner said the competition is designed for those who really have a heartfelt desire to make a change and lead a healthier lifestyle. “This year we are looking for contestants truly committed to becoming a lifelong ambassador of War on Weight,” Dinner said. “We are seeking those who are prepared to go that extra mile and set an example to a community in need of motivation and support in the battle against obesity. We have had some strong participants in previous years and many will be present to encourage this year’s group success in our forth WOW challenge. He added that WOW was about increasing awareness, especially those with a family history of obesity and cardiovascular disease, on the importance of living a healthy lifestyle and exercising regularly. “Every year the WOW competition continues to grow and this year will be the biggest and best yet. We are truly very excited about what we have lined up,” Dinner said. Fitness – five days a week mandatory programme, which will include a wide range of group instruction and activities, as well as access to a fitness centre. Nutrition – bi-weekly consultation with a dietician, as well as a customized meal plan. Medical – health screening, blood testing and monitoring by physicians and accompanying supporters. Psychology – consultation and counselling by an approved professional throughout the competition for proactive mental advancement and support. Education – informative seminars and workshops to educate contestants on the components of the programme. Community involvement – WOW contestants will participate in activities to help promote the programme as well as assist with charity and community events. The WOW competition is funded by the CHF, a non-profit, non-government organization dedicated to the reduction of heart and circulatory disease in the Cayman Islands. Heart and circulatory disease, known as cardiovascular disease, is one of the biggest health problems in the Cayman Islands. Marking its fourth year as a non-profit organization, the CHF has a number of goals, which includes improving the quality of life to all those affected by cardiovascular disease by providing the community with information, education, and participation through free screening clinics, contests, events, and its annual expo. All program information can be found on www.caymanactive.com/wow including WOW 2011 Contestant Applications, alternatively email wowcayman@yahoo.com. (CNS): Local rum makers Seven Fathoms have revealed that the product is heading northbound with the first ever shipment of the locally distilled run overseas. Seven fathoms is now being exported to the US via Luxe Vintages, the exclusive US importer for the Cayman Rum. Following an agreement signed earlier this year by the local distillery, several pallets have landed in America. The process for US import is not easy, according to distillery co-founder Nelson Dilbert who said the firm had been working on the export process for a long time. “We have been working on our US import approvals for the last year which includes product testing, label approvals and working with a wide number of US agencies, including the ATF, TTB, US Customs and the FDA. The demand is there so hopefully it will be worth it in the end,” he said. The three tier system for liquor distribution in the US means the rum will travel through the hands of the importer to the distributor and then to the retailer. From there, the retailers are able to sell to the general public through their physical stores and also online. One large Chicago based retailer that has listed the Cayman made rum in their stores is Binny’s Liquors. Artisanal spirits taps into the current global trend of eating and drinking small, local and artisanal foods and beverages. It's also being driven by "mixologists," a growing class of high-profile bartenders who craft drinks with specialty liquors and ingredients. 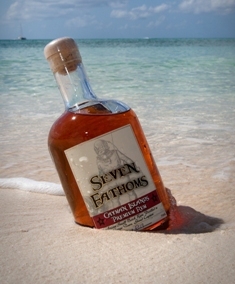 Seven Fathoms is made entirely in the Cayman Islands by hand in a small craft distillery located on George Town Harbor. The rum is aged in barrels under the sea as the ocean provides the humidity and temperature which can’t be found on land along with the constant push and pull of the waves which mimics the touch of a distiller rotating their barrels in a cellar. Despite the diligence of even the most committed distiller, the waves are able to massage the rum with a far more consistent and steady precision, the makers say. (SwissInfo): The United States has indicted an ex-UBS banker for providing offshore tax-evasion services to rich Americans. On Tuesday, Martin Lack was charged with one count of conspiracy to defraud the US. The Swiss national had headed UBS’s North American business targeted at wealthy clients until 2003. Tax authorities estimate that Swiss banks helped Americans hide billions in undeclared offshore accounts. Meanwhile, a US Justice Department investigation has Credit Suisse in its sights. Several of its bankers have been indicted, and US officials sent a letter last month to inform the bank that it was under criminal scrutiny. UBS avoided indictment in 2009 by agreeing to pay a fine of $780 million ($600 million) as well as admitting wrongdoing and providing a list of client names. (GCFFA): This past Saturday at the Camana Bay field, the Lone-Star Jager Monsters secured their second win, and the Hammerheads Lady Sharks proved it is definitely shark week, as both teams defeated their opponents in the fourth week of the Dart Women’s League, hosted by the Grand Cayman Flag Football Association. Game one of the day came down to the wire, going into overtime with a score of 6-6 at the game clock’s expiration. The offensive changes that the Lone Star Jager Monsters implemented a couple of weeks ago seem to have made a tremendous impact on their chemistry and ability. Quarterback for the second week in a row, Christina Hefner, completed 15 passes out of 27 attempts. Erica Bosch-Bone was once again her favourite target, receiving four of Hefner’s passes, followed by former quarterback Michelle McTaggart and newcomer Shalisa Barnett, each with three receptions. Hefner’s game winning plays were made with a touchdown pass each to Barnett and Renee Thompson. The Monsters’ defense focused on stopping their opponent’s quarterback, Christina Pineda, by sending a steady blitz – knowing that giving her any time to throw a long ball would hurt their chances. . Marine Williams put all effort out by sacking Pineda four times during the game. Christine Bisnauth had a season game-high of five tackles, followed by Melanie Lewis with four. Tricia Miller also chipped in with a sack to the quarter back and Renee Thompson had an interception in the second half. For the Androgroup Killa-Panthers, who were missing their second quarterback Lisa Malice, the pressure from the Monsters proved too great. Christina Pineda assumed full quarterback duties for the game, and although her passes were right on target with 21 out of 28 attempts completed, the team lost to the Jager Monsters with a final score of 12-6 in overtime. One of the most costly decisions to the Killa-Panthers during their overtime drive was declining a roughing the passer penalty, after a 20 yard catch by Dilbert put them within 12 yards of the end zone. Had the penalty been accepted the 20 yard play would not have counted, but they would have received 10 penalty yards and an automatic first down, giving them four more attempts to score. Pineda’s last throw of the game went to Ebanks who was just outside the endzone and unable to make it in before Monsters’ Thompson made the game winning tackle, ending the Killa-Panthers offensive drive. Leading the offense in receptions for the first time this season was Sophia Dilbert, who caught seven passes from Pineda. Heather Roffey was Pineda’s next look, with six receptions to her game. Pineda spread the ball around to Tonia Ebanks with three receptions, Caron Murphy with two receptions and Kristen Watler-Miller with one reception, and the lone touchdown was made by Pineda as she saw the opportunity to run the ball into the end zone. Gillian Roffey had an amazing game on defense with seven tackles, followed by Becky Coe and Sophia Dilbert with two tackles each. Natalee Dyke also answered back on defense with a sack to the Monsters’ quarter back Christina Hefner. In Saturday’s second game, Hammerheads Lady Sharks versus the Pythons, the Lady Sharks brushed off their previous week’s loss and bit hard into the Python’s game, winning 24-6. Quarterbacks for Lady Sharks, Bobeth O-Garro and Ellen Downey, completed six of eleven pass attempts, and five of six attempts, respectively. Between the two quarterback’s, three interceptions were thrown, which could have been detrimental to the Sharks momentum if they hadn’t stopped the Pythons on most of their possessions. The ball was shared amongst the offensive line-up, with touchdown passes made to Scimone Campbell and Courtisha Ebanks, as well as a pass to Kathy Miller, who only needed to take a few steps to make it into the end zone, and the final touchdown made by Dionne O’Garro-Anglin who ran the ball in 15 yards to the end zone. Teamwork was key when it came to defense, as nearly every Shark player made a tackle. Serena Yates and Campbell each had three tackles, and Yates also sacked the Pythons’ quarterback once. The unassuming, but quick ball-handler, Keisha Anglin, came up huge on defense with two interceptions and two tackles. For the Pythons, who have yet to secure a victory, their improvement on offense was evident as quarterback Tamika Byrd made 12 of 18 passes, with two interceptions thrown. Her favourite target was Jessica Ebanks, who caught eight passes. Anna Nyuandi and Carla Martin each received the ball twice. It was an interception that the Pythons caught near the 25 yard marker which put them close enough to their end zone as they switched to offense, for Byrd to run the ball in for the team’s lone touchdown. On defense, Jessica Ebanks again showed she is the rookie to beat this year, as she intercepted two balls and made two tackles. Leading the Pythons defense in tackles was Nyuandi, who had six, followed by Colleen Williams with three. Violet Whittaker-Powell also showed her finesse as a rusher as she sacked the Sharks’ QB once and made a well-read tackle on a hand-off behind the line of scrimmage. Cynthia Powell also contributed with two tackles. This Saturday’s game action sees the Dominos Wolverines against the Pythons in the first series, with Androgroup taking on the Hammerheads Lady Sharks next. Monsters have a bye this Saturday. Games begin at 10am at the Camana Bay Field, with snacks and refreshments available for purchase. (CNS): Marking world breast feeding week in the Cayman Islands the health minister has highlighted the support offered locally to encourage mothers to breastfeed. The week lasts from the 1st to 7th August and is used to highlight the importance of breast-milk to the normal growth of babies and its positive impact on the health and well-being of children beyond infancy. Mark Scotland said that breastfeeding is a special, intimate time between a mother and baby, and that a strong support network makes all the difference in mothers being able to feed. “With the resources of the Internet and mobile phones, connections for support are now much greater than just face-to-face,” he said as he noted this year’s slogan for Breast feeding week – Talk to Me! Breastfeeding – A 3D Experience. The minister said that there were many local resources available to support breastfeeding families. “Each new mother is given an information packet from the Breastfeeding Support Group. They receive a contact list of the members in the group and are encouraged to call them if they have questions or concerns. These volunteers are experienced mothers or health care professionals,” he added. The Public Health Department also provides free home visits shortly after birth by a community midwife to prevent complications in the early days. The local Breastfeeding Support Group has a Facebook page, Twitter account and volunteers use Skype to keep in touch with mothers. The World Health Organization recommends exclusive breastfeeding until a baby is six months old and continued breastfeeding with the addition of nutritious complementary foods for up to two years and beyond. The act of breastfeeding builds a strong emotional connection between the mother and baby, a bond which lasts a lifetime.